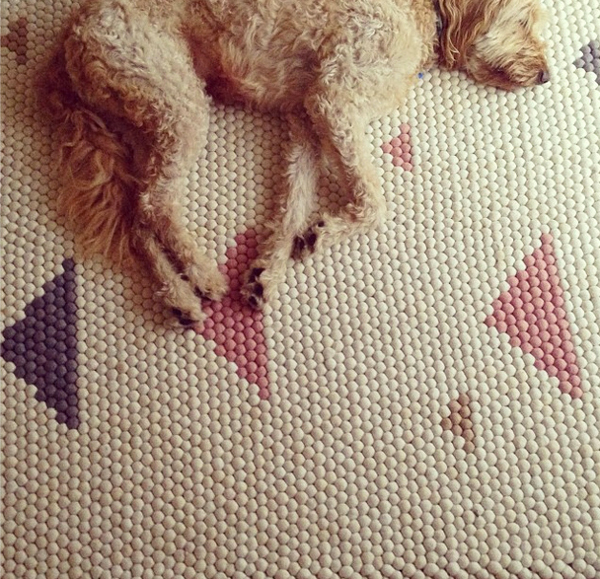 There’s nothing like a rug to tie a room together. All of your child’s décor may looks pretty in its own right, but wait until you pop the right rug on the floor. Hey presto, it’s a masterpiece! 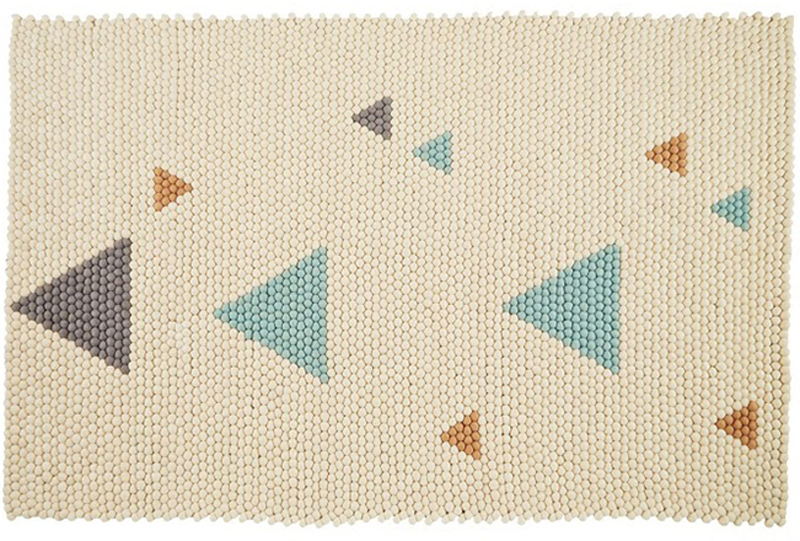 Olli Ella’s new Geo Rug is the perfect piece to complement your child’s room. Its soft, natural colours won’t clash with your colour theme and a sprinkling of triangles adds just the right playful mood. The Geo Rug is made from hundreds of felted balls that have been hand-sewn together, so it’s luxuriously soft on the feet. Handmade in Nepal from pure wool and measuring 120cm wide by 180cm long, the Geo Rug costs $499. There are two colour schemes to choose from. 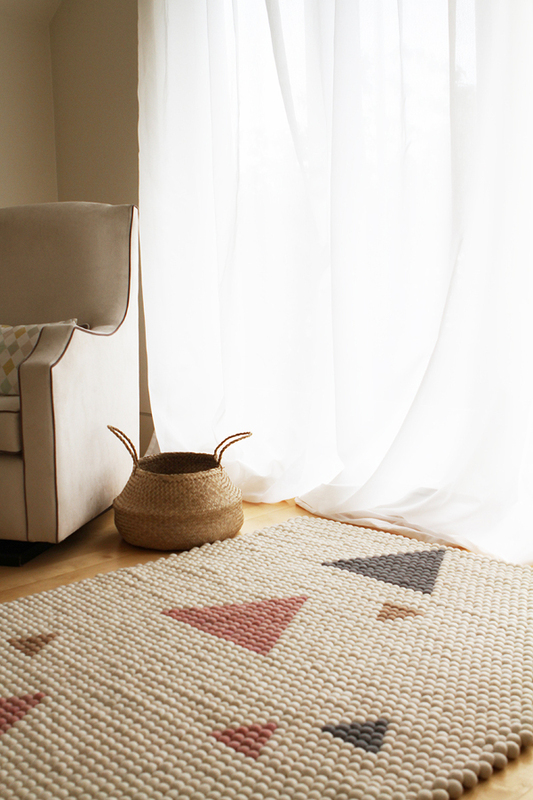 The blue rug features sky blue, slate grey, and burnt amber triangles, while the pink rug teams blush pink triangles with slate grey and burnt amber. Both rugs have a warm snow background. 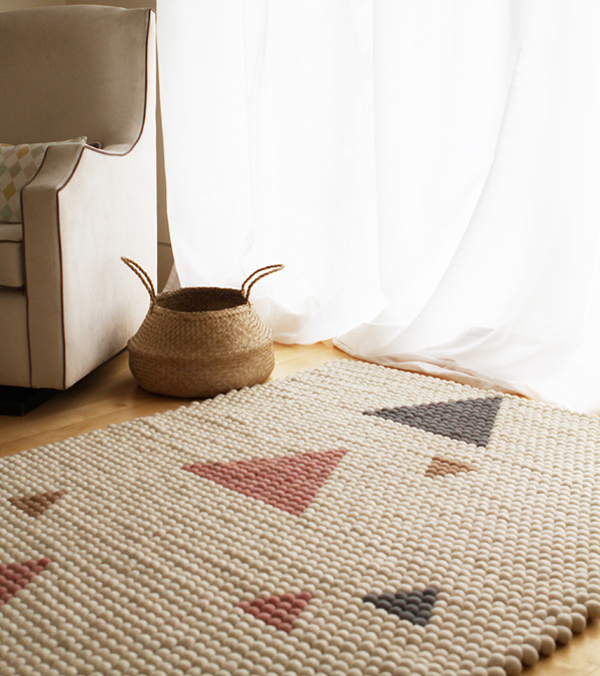 Like everything we like about Olli Ella, the Geo Rug is a beautiful addition to the living room, playroom and of course in your baby’s nursery or child’s bedroom. Olli Ella ships Australia-wide and internationally.